About Us | Exponential Edge, Inc.
Exponential Edge® Services assists leading global corporations to identify and build new roads to revenue. We help our clients to identify areas of high growth potential and drive those opportunities into new revenue streams. Our highly experienced team provides strategies for market assessment, corporate partnering, and for marketing, alliance and sales effectiveness. Headquartered in the Silicon Valley, a leading center of innovation, Exponential Edge® Service has assisted the most innovative companies around the world to identify and capture new business opportunities. 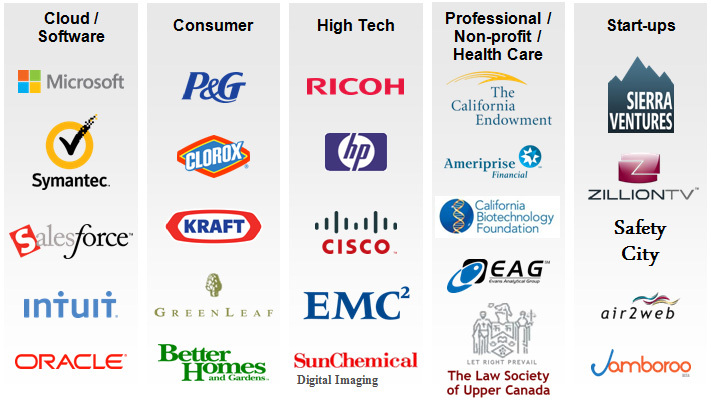 Our seasoned consultants and analysts deliver services according to our Client Service Pledge. Our team, led by Adrian C. Ott, CEO and Founder, consists of highly skilled, innovative consultants with an average of 18 years of industry experience. Our team includes former VP’s and Directors from industry-leading Fortune 1000 companies, Gartner Analysts and McKinsey Consultants. Most have advanced degrees from prestigious universities. Having worked in industry, we know the challenges you face which enables us to provide innovative, pragmatic recommendations and programs.